It is no secret that Australia’s population is rapidly aging. Nor are the challenges this process presents to government and wider society, especially in relation to the funding of necessary services for this group of citizens. By 2060, the federal government has projected it will face pressures equivalent to approximately 6% of GDP as a direct consequence of a population increase of those aged above 75 years, from 6.4% to 14.4%. Furthermore, simultaneous decreases in those actively engaged in employment means there will be proportionally less taxpayers contributing to the funding of these services. Some initial government responses have seen greater funding allocated to home-based care (as opposed to residential care facilities) and the introduction of consumer directed care (CDC). 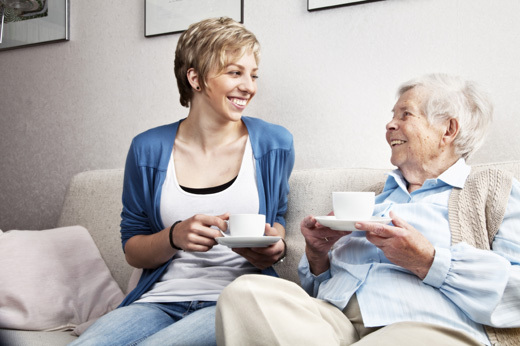 These responses will inevitably provide a high degree of disruption to the aged care sector as it currently stands, especially given the services of many providers are currently based in models that place the residential facility (i.e., retirement village) at its core, as opposed to client’s home. In response, many providers will no doubt adapt their service offerings accordingly, widening their scope and capacity in relation to what they can provide to clients within the home, if they haven’t done so already. However, to what extent is the development of these offerings being enforced by top-down organisationally-based perspectives rooted in experiences of a system that this rapidly becoming obsolete? Conversely, how many are being developed by understanding bottom-up perspectives of those currently and imminently navigating a new system that will form the foundation of aged care provision in Australia for years to come? While industries that have long had to deal with rapidly-changing consumer landscapes (such as FMCG, automotive, and technology) have become experts in utilising consumer insight across all areas of their business, beyond rudimentary assessments of service delivery, the Australian aged-care sector has traditionally lagged in this capacity. However, given the fundamental shift in power to the consumer that CDC facilitates, those who become leaders within these new circumstances are likely to be those who are able to most effectively incorporate consumer perspectives into how their organisations evolve and adapt to CDC. This has relevance to organisational structure, the fundamental design of services, how to communicate to clients, brand development, price-points, and training and recruitment of staff, among many other factors. This is supported by the experience of other countries where CDC has already been introduced (such as the UK), where its introduction has led to increased competition, especially as for-profit and international organisations enter the competitive landscape, and as existing relationships of partnership ultimately evolve into one of competition. In this context, the need for current players to increase their capacities for effectively utilising consumer insights becomes even more apparent – especially in developing sources of differentiation and competitive advantage – given many of these new players are already well experienced in this area. Nowhere is the need for consumer insights in aged care more apparent than in how service providers plan in mitigating the differences between the rhetoric around CDC and the nature of the client base the sector seeks to service. For example, is a system of increased choice really empowering, or does a group that values simplicity experience such complexity as overwhelming paralysis? Is increased flexibility a positive force among individuals who value consistency? To what extent is the development of trust impaired by a system that encourages service provision from multiple providers? To what extent do individuals, whose main focus in life is simply to thrive, actually want increased involvement in their Health Care Provision? So if there ever was a time to act it is now – CDC has now been in play for a year, so the sector as a whole will have already moved on from where it was 12 months ago. Furthermore, the sector is highly fragmented – in 2014, over 500 different providers existed across Australia and the 11 organisations with the largest market share collectively accounted for less than 40% of the market, indicating the sector is currently void of any ‘category leader’. Whoever is able to assert themselves into this position will give themselves the opportunity to have significant influence in shaping and focusing public discourse of the sector as a whole, and how CDC evolves, now and into the future. So, who’s going to make the move first? Get in touch with us today for an initial discussion to see how newfocus can assist your organisation to stay ahead of the game.